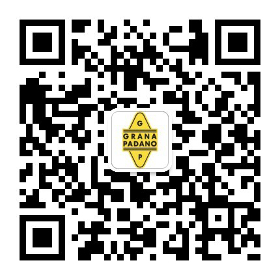 The Grana Padano Protection Consortium publishes information on its website which is of a general nature and is strictly for information purposes only. This information is not provided in an advisory capacity and no guarantee is therefore given with regard to its accuracy or completeness and since it constitutes no specific offer to the public, the Grana Padano Protection Consortium is in no way bound by it. In order to obtain advice or information with regard to your own specific requirements, the Grana Padano Protection Consortium recommends that you seek a specific opinion. Furthermore, the Grana Padano Protection Consortium assumes no liability for the existence and content of third-party websites to which reference is made on the Grana Padano Protection Consortium website, or to which you may be referred via a hyperlink. Trademarks, copyright and any other intangible rights appearing on third-party websites are the exclusive property of the respective owners. All the images on the website are protected by copyright, and the rights belong to Grana Padano Consortium or to 123rf.com.